US equity indexes closed moderately mixed, sp -1pt @ 2182. The two leaders - Trans/R2K, settled -0.4% and +0.2% respectively. VIX settled +8.2% @ 12.27 (intra high 13.02). 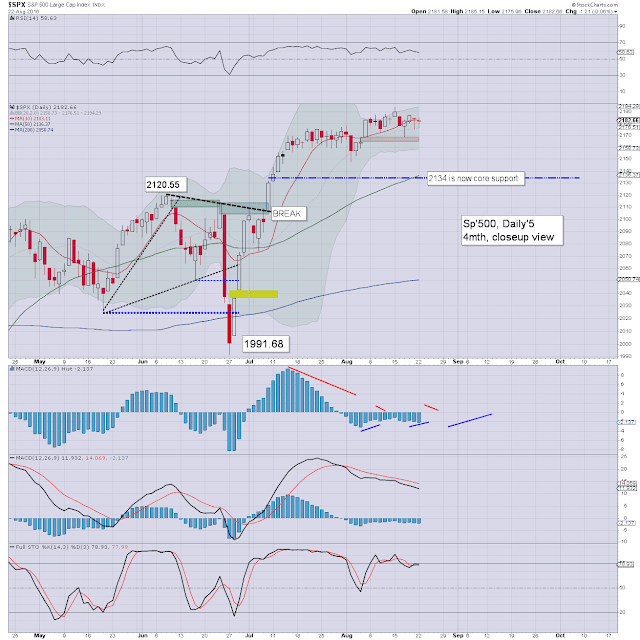 Near term outlook offers very subdued price action ahead of the Yellen this Friday. A day of moderate swings.. as the market appears very content to stay in a holding pattern until the Yellen appears this Friday morning. 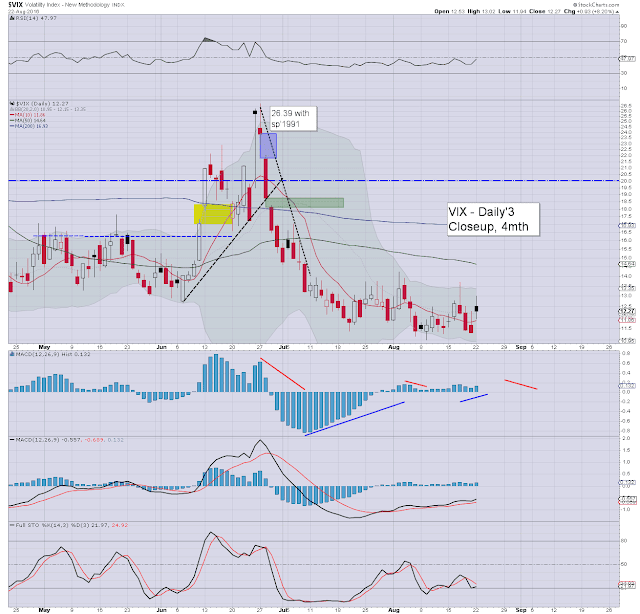 VIX remains broadly subdued, and is still notably unable to hold the 13s. The key 20 threshold looks out of range for at least another month. I'll end the night with a brief update on Brazil. 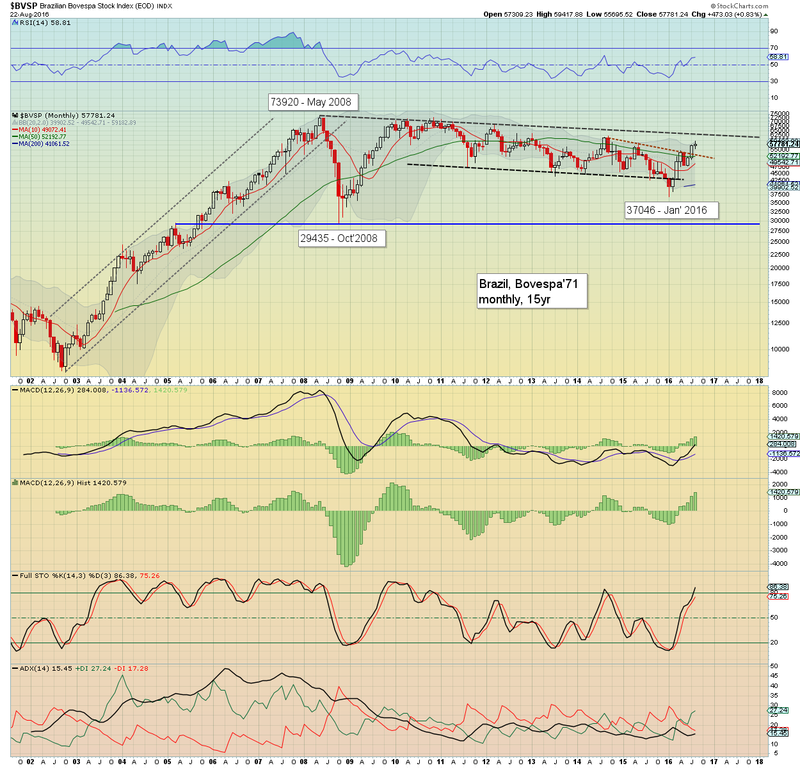 Brazil - like most other world markets, is battling hard to push upward. 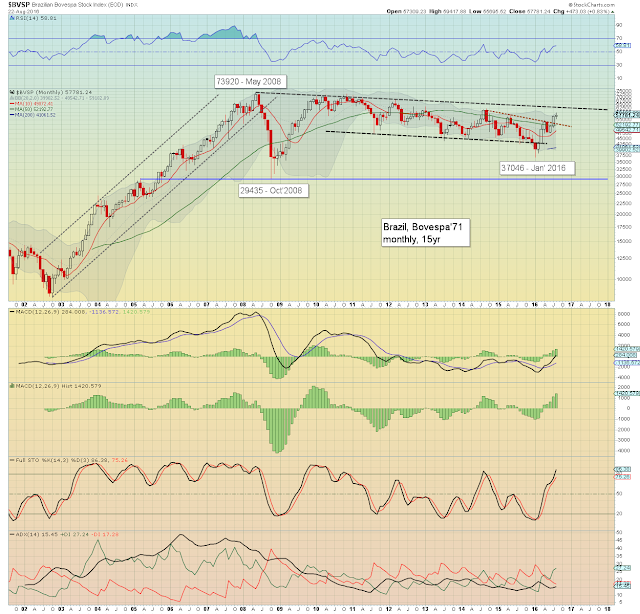 Any price action above the Sept' 2014 of 62304 would be very bullish. If you want to put on your inflationary hat, a move to 100k would be the natural long term target, having been stuck since the post crash bounce into 2010. For those who didn't see it.... the Tokyo 2020 tease from last night's closing ceremony. Even Abe himself made an appearance. The music around 4-7mins is by Yasutaka Nakata, whom is quite possibly a time travelling artist from the 23rd century. Truly... magical. I loved almost everything about the games, which were a welcome respite from the usual news of death and injustice. For the economic and societal mess that is the nation of Brazil, it was a major achievement. They can at least be proud of that.